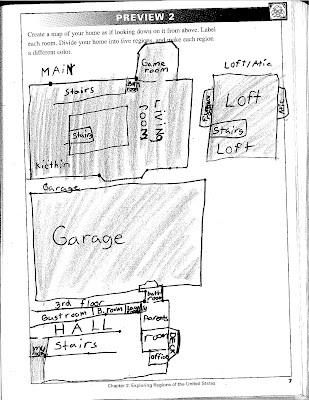 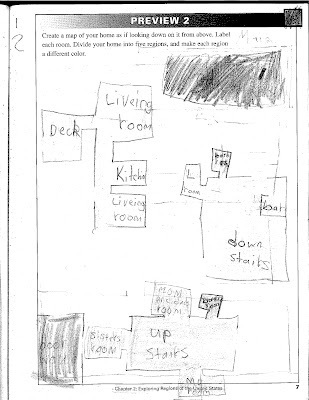 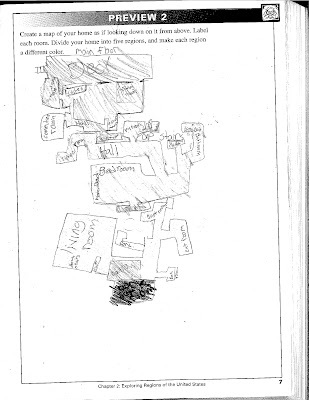 Students drew floor plans of their homes today in social studies. 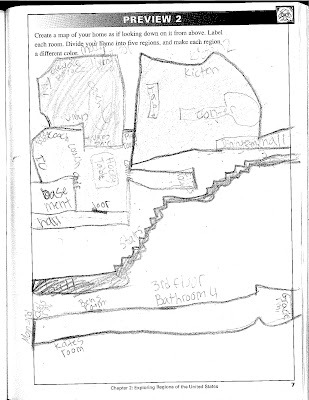 They labeled rooms and divided the house into five regions. 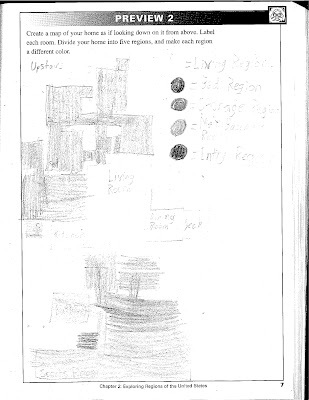 This is to introduce our study of the 5 regions of the United States- Northeast, Southeast, Midwest, Southwest, and West. 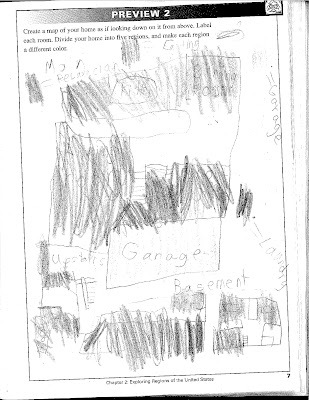 They were done in color and scanned in black and white.